I tried another cinnamon roll with Japanese Sweet Potato. 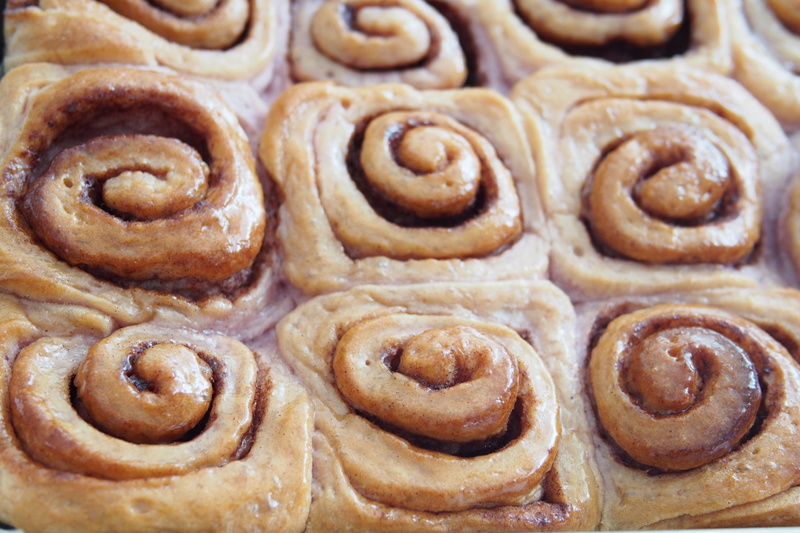 Most of the Cinnamon roll recipes online uses all purpose flour. I found it abit hard. So, I used bread flour instead which turned out softer. I made a mistake in this roll where I brushed on too much icing and made the roll a little wet. 1. Place all ingredients for Sweet Potato Rolls in the bowl of the stand mixer and knead until it had come together and become elastic or let the machine knead for 10 - 15 minutes. 2. Set it aside to rise for 45 to 60 minutes or till double in size. 3. When doubled in size, punch down dough. Roll out on a floured surface into a 15 by 9-inch rectangle. Spread melted butter all over dough. Mix sugar and cinnamon and sprinkle over buttered dough. Starting with the widest end, roll the dough into a log. Pinch to seal seams. Cut the dough into 1.5 – 2 inc sections with a string of floss. Place the rolls in a greased/lined 14 X 10.5 inc square baking pan. 4. Cover and let rise until nearly doubled, about 30 minutes. 5. Meanwhile, preheat oven to 350 degrees F (180 degrees C). Bake for 20 to 25 minutes. 6. 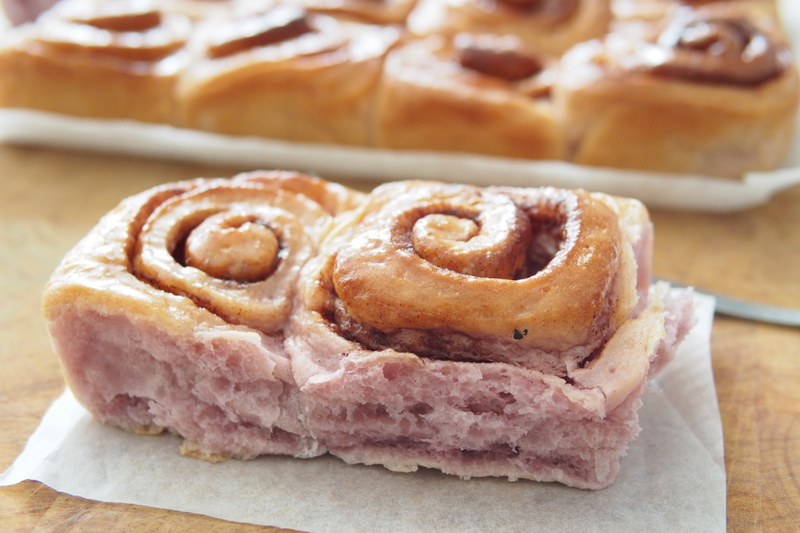 Remove rolls from oven and brush frosting over hot rolls.